A-Plus Interior Renovation Company was founded in October 2005 and became C&G A-Plus Interior Remodeling Corp. in 2010. 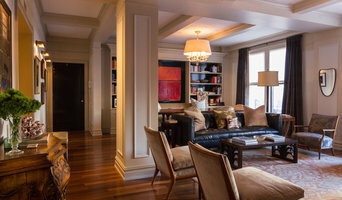 Our areas of expertise lie in remodeling residential and commercial interior spaces. Our services include: *Condo and Co-op renovation specialists *Home Improvement specialists *Pre-construction design *Cost planning & budgeting *Scheduling services *Project Management & General contracting *Specialized services: tile, carpentry, paint, plaster, and drywall Our goals form our guiding structure and serve as a reminder to do right for everyone that contracts us for the remodeling needs. •To become the most trusted contracting company for each of our clients. •To deliver a better-than-expected service and finished product. •To provide our clients a positive and satisfying experience each and every time. Our customers have always been our priority. Even as we grew, we have never lost focus on providing each customer the personal touch they deserve. Always available by phone and electronically, we are ready to help at a moment’s notice. With over 25 years of experience in the construction field and over 500 completed projects to our credit, we offer a unique perspective and approach to all of the projects we undertake. All of our employees are fully trained and each worker is a dedicated specialist in his field. Additionally, we have a full staff of supervisors who are assigned solely to the task of supervising. It’s all they do. We are credentialed with all required licensing and insurance. Call now to speak with our team (917)688 7006. Based in Greenwich, Connecticut, LoParco Associates specializes in custom home construction and expert renovation for individuals who value craftsmanship, attention to detail, and a superior management environment. We have served the Fairfield and Westchester County markets for over 25 years and have gained a reputation as one of the finest home builders in the area. Our mission is to provide superior craftsmanship, expert construction management, value-added budgeting consultation, and unparalleled commitment to service so that we meet and satisfy the individual needs of every client and project. Since 1995, Mark and Nancy Benson of Bencar Building Systems have provided homeowners in Wallingford, North Haven, Cheshire, Meriden, and the New Haven and Hartford areas with professional remodeling expertise and assistance during the planning stage of a project, and quality workmanship throughout. Many of our clients return to us for assistance with future projects because they trust our advice and workmanship as a professional Wallingford remodeling contractor. Suffolk County's Elite General Contracting Firm | 2x Best of Houzz! A Plus Interiors are professional contractors that offer exceptional service at affordable prices. We are a family owned and operated business with over a decade of experience. No job is too big or too small for us. From full gut renovations to minor cosmetic changes, we've got you covered. Sunset Custom Basements in Fairfield, CT covers everything you need in a basement remodeling or finishing project from start to finish with superior products and quality workmanship. Whether you want a playroom, rec room, entertainment room, bedroom, bathroom, or even just a finished basement; we got it covered. Our experienced, licensed, and certified contractors strive to deliver the best customer service and listen to your needs, as well as work with you every step of the way. We want your basement project to be as enjoyable as possible for you. Our highly skilled and certified staff know that problems can arise and we'll be ready to handle them. You can count on Sunset Custom Basements to deliver the results you desire. Tile Store and Home Improvements Kitchens / Bathroom and more. From Design to Installation. We do it all. HR Design & Build is a construction company that specializes in everything it takes to create your dream home or renovate your existing living space. We provide services that start with the design process and end with exceptional finished development. Our turn key business is a combination of hands-on service and honest workmanship that yields high-quality results. Suffolk County's Trusted General Contractors - Best of Houzz! For years, Babylon Bay- Hampton Bay Construction LLC and its owner have delivered first-rate construction and design work for all types of residential projects. Specializing in major remodeling such as additions, dormers and extensions, customer satisfaction has always been our #1 goal. Our professional experience has given us a level of expertise to which other companies can only aspire. For your next construction or remodeling project look no further than the team at Babylon Bay - Hampton Bay Construction LLC. View our profile for more information on all we have to offer. Godwin Residential Construction is a full service firm specializing in all phases of upscale residential construction. Established in 1982 by Steve Godwin, the firm prides itself on positive client experiences that have long marked the professional life of the company. This is evident by the legacy of its clients who have continued to confidently recommend Godwin to their friends, colleagues and families. Or, as Steve Godwin proudly puts it, “You can tell you’ve been successful in this business when you start renovating apartments and town houses for the children of your original clients!” With emphasis on excellence and white glove service, Godwin is sterling to work with and delivers the highest standard which is exemplified by each member of the team working on every project. Each project is organized with a full time project manager and a site superintendent, as well as having Steve Godwin’s direct involvement and constant “eye on quality” from start to finish. Consistently exceeding expectations, completing projects on time and on budget, and never losing sight of the importance of the smallest details is our mission. The Franklin Report ranks Godwin as a five-star firm, catering to a discerning clientele — a veritable who’s who in Business, Entertainment, Sports and Finance, establishing a standard of excellence in high-end residential construction that is unsurpassed. We have many references from Architects, Interior Designers, Clients, Building Managers, and others who have had very positive experiences working with us. Our extensive, privately owned 6,000 square-foot state of the art millwork, cabinetry and furniture shop is a stones throw from our offices in Manhattan. Housed in the historic Neumann Leathers building, an old tannery and the last 19th century commercial building in Hoboken, New Jersey. Our shop is solely dedicated to providing custom millwork and cabinetry that meets our customer’s precise specifications. Suffolk County Design Build Firm - 6X Best of Houzz Winner! Our work is centered around the philosophy of maximizing your return on renovation. This means that we navigate the process of your New York City renovation project with an eye toward creating value. The time and money that you invest in your home should come back to you exponentially--if you can avoid the old adage: “it will take twice as long and cost you twice as much” Let our experience guide the creation of your beautiful, high-value home. 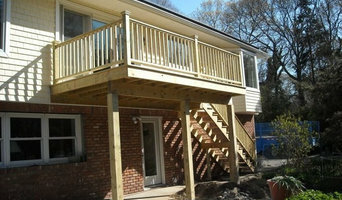 Guiltec Development is a construction company managed by skilled Master Carpenter Denis Guilfoyle. Guiltec Development has been involved in the Interior and Exterior construction of high end residential and commercial projects – Custom Homes, Additions, Renovations & Bars and Restaurants. In all these areas, Guiltec Development has a reputation as a quality Company of superior value which has been involved in some very impressive interior and exterior trim projects. The business combines the capabilities of an experienced General Contractor & Home Builder with the knowledge and insight of the best professionals. Our two greatest assets are our people and our integrity. Our competitive advantage stems from our reputation as well as the success from so many of our past projects. Above all we are dedicated to our customers and projects. Our desire to exceed the expectations of our clients has made us into the leading general contractor of high end bar/restaurant, residential construction & interior/exterior trim. In all these areas, Guiltec Development has a reputation as a quality General Contractor and Home Builder of superior value. With Guiltec Development, you get the best of both worlds: local home builders that understand your needs and are committed to the work they create and construct. The secret to Guiltec Development success is the ability to create a quality project on time and in budget. That philosophy of integrity, responsibility and quality has been the true foundation and design and construction of every project. G.B. Construction and Development, Inc.
For three generations, and more than fifty years, the Grasso family has earned the trust of sophisticated Westchester clients by building unique homes that we would be proud to have our own families live in. That tradition continues today through Grasso Development Corp. View our latest video in partnership with Berkshire Hathaway: <a rel="nofollow" target="_blank" href="https://www.youtube.com/watch?v=X8hDtn6VLxU&feature=share">https://www.youtube.com/watch?v=X8hDtn6VLxU&feature=share</a> We believe that building a home is an art. Our hands on approach, along with our talented group of fine artisans and local craftsmen, ensure that each project we take on will exceed our customer’s expectations. Please explore our site and learn about the unique services we provide for you and your family.